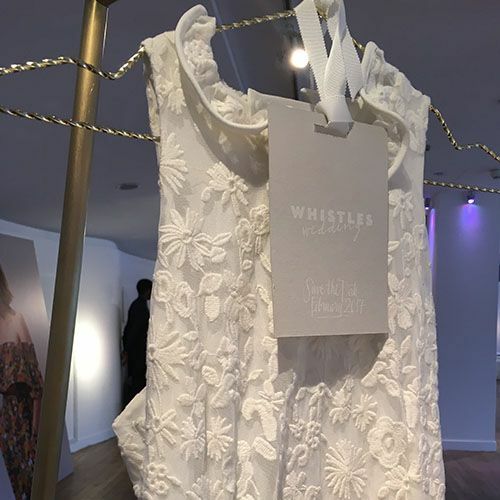 Clothing brand Whistles hosted its Spring/Summer collection brand day at OXO2 on the 10th February. The company’s 140 key sales teams were invited to the blank canvas venue for a full day conference. For the latter part of the day the team got to preview the latest Spring and Summer collections for both menswear and womenswear. The trend overviews were presented on large ‘billboards’ installed throughout the venue, with key items displayed on clothing rails so the team could walk around and handle the new products. 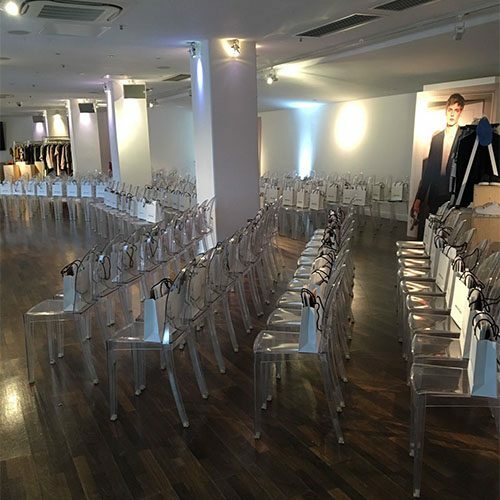 The blank canvas setting of OXO2 allowed the products to take centre stage. Whistles added branding throughout the venue, inside and out, with branded vinyls installed on the white columns, coloured pin spots and branded signage of the front of the venue entrance. 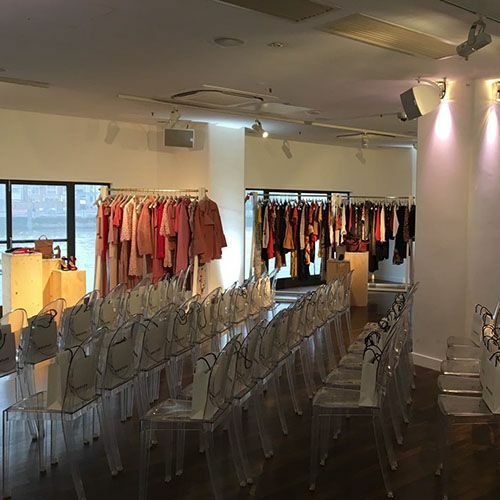 OXO2 was the perfect venue for this fashion launch in the Cultural Square Mile. Find out more about events at OXO2 by visiting oxo2.co.uk.